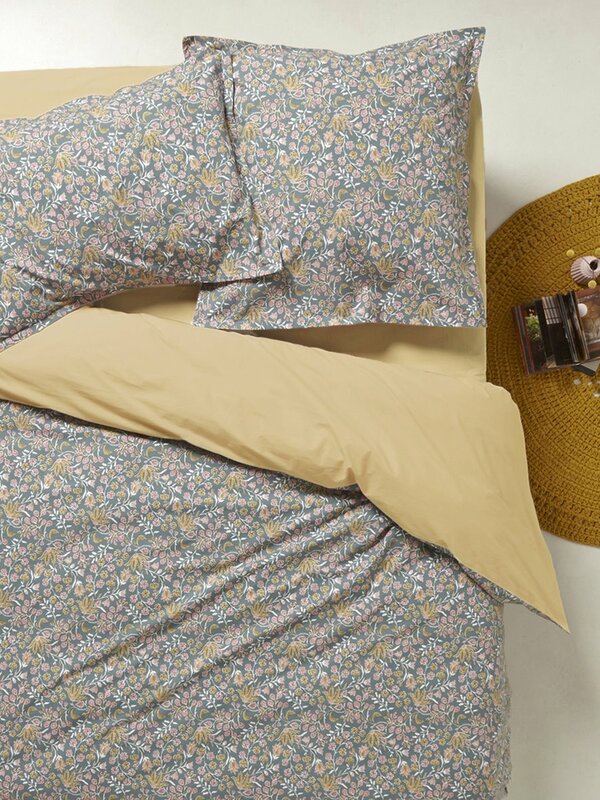 Paisley patterns lend a trendy and chic boho style to this floral bed linen. A Cyrillus design. Plain ochre or blue-green back. Duvet cover with tuck-in flap. Machine washable at 40°C. Made in Portugal.